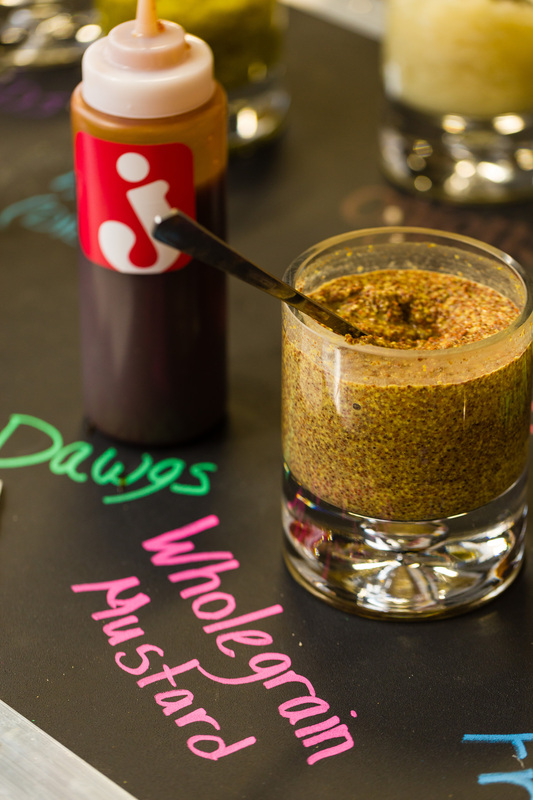 Celebrate National Hot Dog Day with Gourmet Hot Dogs! Home > Featured Events > Celebrate National Hot Dog Day with Gourmet Hot Dogs! It’s National Hot Dog Day and we couldn’t help but think more about that American staple, the quintessential summer menu item – the hot dog! 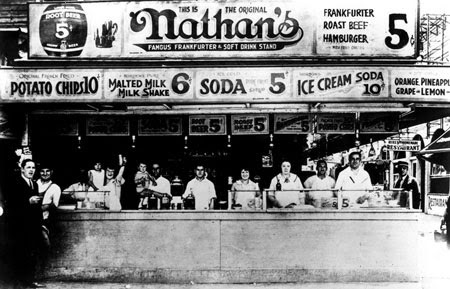 Culturally imported from Germany to early America, the hot dog was sold as fast and cheap working class lunches off street carts in large cities. Over time, the simple yet yummy treat became associated with summer, baseball and Americana. There is no definitive knowledge of how the hot dog got it’s silly name; many instances of the word duo referencing this form of sausage consumption can be found in publications dating back to the late 19th century. 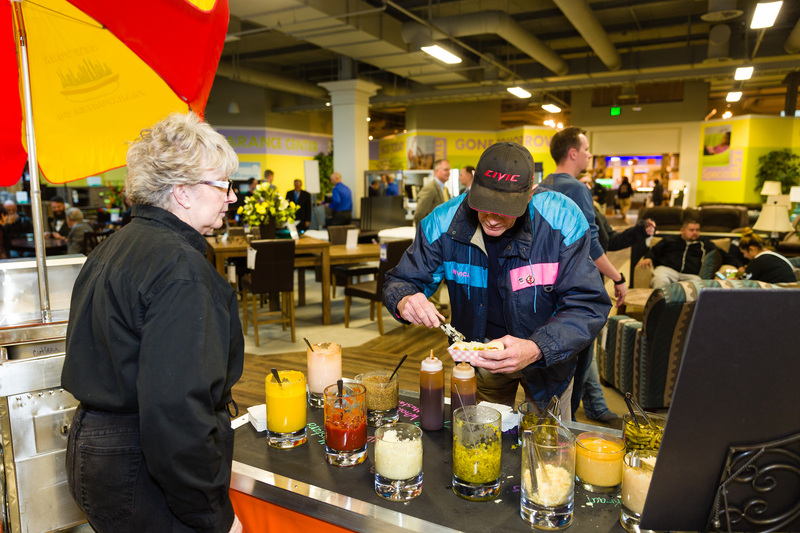 As the hot dog spread across the country, variations invariably sprung up to match the unique flavor demands of each region. How many hot dog varieties can you think of for each part of America? Coney Dogs: developed in the 20th century by Greek immigrants, Coney Dogs are characterized by being topped with a beef-based sauce (almost like a thin chili), yellow mustard and diced white onions. Not to be confused with a chili dog, Coney dogs do come in three varieties, with the difference being in the type and consistency of the sauce on top. Corn Dog: can this even be considered a variety? More like a tangent from the hot dog, the corn dog is a frank on a stick, generously dipped in corn batter and deep fried till golden and toasty. While typically accompanied with mustard and/or ketchup, if you are a Utah local like us you enjoy your corn dog with fry sauce. Pigs in a Blanket: much like the corn dog, a pig in a blanket isn’t really a hot dog but a close cousin. Typically, but not always, the frank is bitesized, wrapped completely in dough then baked till the dough is cooked through. Because of their traditionally small size, pigs in a blanket are usually eaten more as an appetizer. 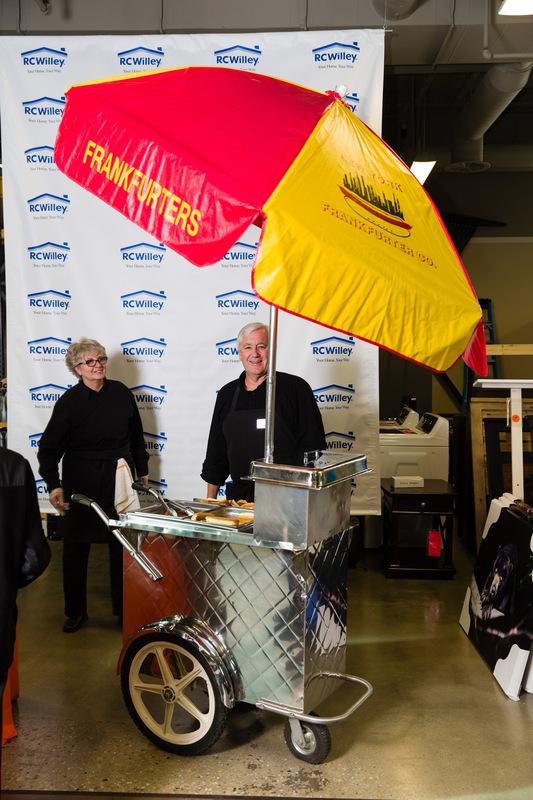 Our favorite way to celebrate National Hot Dog Day is with our Gourmet Hot Dog station, featured at a recent event for RC Willey. Our Gourmet Hot Dog Action Station features a fun and bright hot dog cart, complete with umbrella, as well as a customizable chalk board table to display all our tantalizing toppings such as piccalilli, house-made dill pickles, wholegrain mustard, dijon mustard, fry sauce, barbecue sauce, diced onions, sport peppers, sauerkraut, shredded cheese, and of course, the can’t-fail ketchup and mustard. 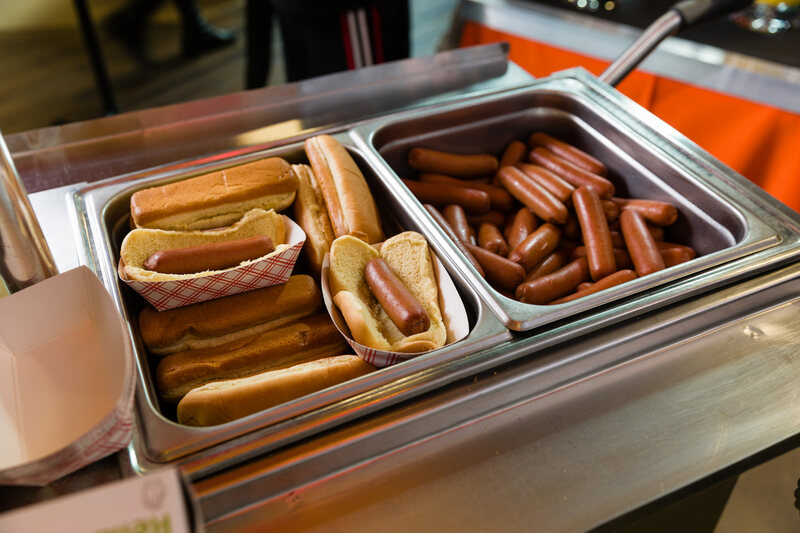 Guests will love the festive and cheery cart as well as the ability to customize their own hot dog. May we suggest the Utah dog: fry sauce with crushed potato chips?! 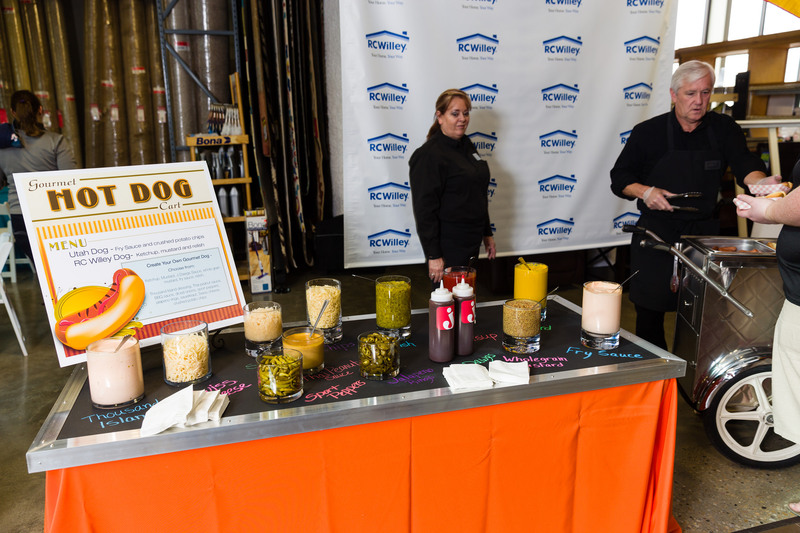 To book our Gourmet Hot Dog action station for your next event, let us know! 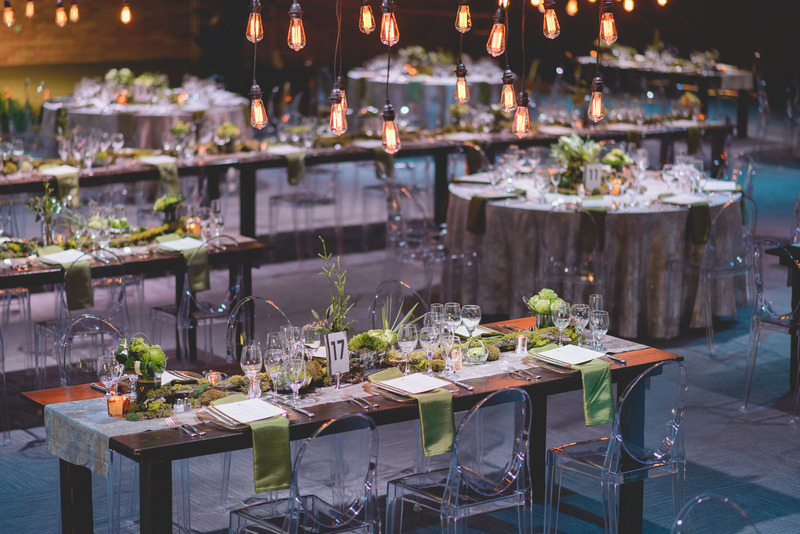 Get in touch and we’ll get started creating a fun, unique and delicious menu for you!